As a key cornerstone to its legacy of hosting The 2022 Ryder Cup, Spain aims to use the enhanced profile, awareness and investment of the biennial event to help increase the country’s female and disabled golfer participation levels. The Royal Spanish Golf Federation (RFEG) intends to change the way golf is perceived in order to inspire the next generation of players and boost development and participation levels. As part of its 12-year ‘Ryder Cup Plus’ strategy, the RFEG will continue to invest in the game, to address some of the specific aspects raised by both female and disabled golfers, such as flexible playing options, access to facilities and coaching opportunities. Jorge Sagardoy, General Secretary of the Royal Spanish Golf Federation (RFEG), said: “We are committed to increasing golf participation levels among female and disabled golfers. “The Ryder Cup’s universal appeal provides a huge opportunity for the country to raise interest and awareness of the game and to encourage more people to enjoy golf. “Already, over 30% of our members are women, which is a much higher proportion than other leading Spanish sports such as football or basketball. If we are successful in our bid, we aim to use the ‘2022 effect’ to help increase female membership levels to more than 40%. In addition, Spain’s ‘Ryder Cup Plus’ plan will also see increased investment aimed at attracting more disabled golfers to take up the game should the 2022 Match come to Catalunya. This would complement the already established Spanish Adaptive Championships, which attracted 29 competitors from across the country in 2015 and continues to see participation levels increase each year. Jorge continues: “The Adaptive Golf Committee in Spain has already successfully set up 33 schools across the country for disabled individuals. These schools run specialised golf tuition courses, which are led by qualified professionals and help to support learning and progress. Ryder Cup Europe will announce the successful host nation in Winter 2015. Napa, California, September 23, 2015 – An early commitment for the October 14-18 Frys.com Open at Napa Valley’s Silverado Resort and Spa, Rory McIlroy played well in last week’s BMW Championship, tying for fourth with rounds of 68-65-67-70 for 270, 14-under par, at Conway Farms near Chicago. It was McIlroy’s best performance since injuring his left ankle in early July, which kept him out of tournament play for nearly two months. It was his seventh top-10 of the season and first since the U.S. Open Championship in June. Currently ranked No. 2 in the world, McIlroy is 11th in the FedExCup standings going into the Tour Championship, the 2014-15 season finale on the PGA TOUR. McIlroy, 26, a four-time major champion from Northern Ireland earned his way into this week’s playoff final in Atlanta primarily by winning the World Golf Championship Match Play at Harding Park in San Francisco in March and the Wells Fargo Championship in Charlotte in May. He is expected to be a favorite when he makes his debut in the Frys.com Open this fall. Several other players committed to opening the 2015-16 PGA TOUR season at the Frys.com Open also are competing this week, including Rookie of the Year candidate Daniel Berger, 2013 U.S. Open Champion Justin Rose, 2014 Memorial Champion Hideki Matsuyama, and 2014 McGladrey Classic Champion Robert Streb, as well as several FedEx Cup contenders – No. 18 Kevin Kisner, No. 20 Scott Piercy, No. 22 Paul Casey and No. 23 Brandt Snedeker. The Frys.com Open is the lead tournament on the PGA TOUR’S FedExCup schedule. Launched in 2006, the Frys.com Open is an official PGA TOUR golf tournament benefiting many local and national charities that are working to improve the lives of others. Title sponsor Fry’s Electronics is a privately owned retailer with 34 nationwide locations headquartered in San Jose, California. 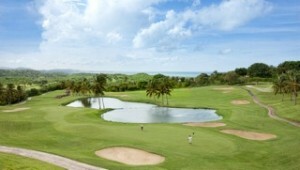 More information is available on FrysOpenGolf.com or onFacebook and Twitter. Los Cabos, Mexico (September 24, 2015) – Dating back to the early 1970’s, the Solmar group has pioneered Los Cabos tourism, starting with the original 20-roomSolmar Resort and ultimately expanding to a five-resort group with the completion of its most luxurious property to date, Grand Solmar Land’s End Resort & Spa, in 2015. Now, the brand is excited to announce further expansion along the destination’s Pacific coast with Rancho San Lucas, an exclusive, residential resort community. 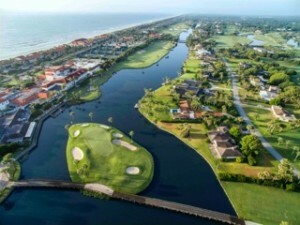 The high-end, coastal resort community built on 835 acres of gentle, sloping oceanfront property, is set to break ground in December 2015 with the first phase of the master planned community expected to open to the public in late 2017. Rancho San Lucas plans to feature luxury homes, two resorts including Grand Solmar Rancho San Lucas, dining and shopping options, a Greg Norman-designed 18-hole golf course and more, all inspired by Mexican-Spanish architecture. Located on Baja California’s most exclusive and private beach, Solmar Hotels & Resorts offers guests privacy while still being able to enjoy the excitement of downtown Cabo San Lucas. The collection of five all-suite resorts offers guests the highest quality of service and hospitality. Within the past year, Playa Grande Resort and Spa as well as Solmar’s All Inclusive Resort and Beach Club were awarded the RCI Gold Grown Resort Award. Additionally, TripAdvisor recognized Grand Solmar Land’s End Resort & Spa among TripAdvisor’s Traveler’s Choice Awards. The property was ranked 8th among the Top 25 Hotels in Mexico and received TripAdvisor’s Certificate of Excellence. Grand Solmar Land’s End Resort additionally ranked 5th among the “The Best Beachfront Hotels in Los Cabos” by USA Today. Grand Solmar Land’s End Resort was also recognized by Travel + Leisure ranking 2nd among the World’s Best Family Travel Hotels in Mexico, and 99th in the Top 100 World’s Best Hotels. For more information about Solmar Hotels & Resorts, visit www.solmar.com, follow us on Twitter @SolmarResorts, Instagram and Pinterest and visit our Facebook page. WILLIAMSBURG, Va. – September 24, 2015 – Golf is not like riding a bike; you have to keep at it to do it well. Shorter days and cooler weather are not excuses. So if you don’t like being told “you’re away,” it’s time to get closer to the greens at Kingsmill Resort in Williamsburg, Virginia. While there are many golf courses in the United States, few are on former battlefields and sacred ground. At Kingsmill Resort, the only AAA Four Diamond condominium resort in historic Williamsburg, golfers literally walk in the footsteps of the Jamestown settlers and soldiers of the American Revolution and Civil War. The grounds are also home to the LPGA Kingsmill Championship held in May. Not only is fall and early winter weather ideal for golf at Kingsmill, but the resort is also tailored for families, friends and foursomes traveling together with its new four-bedroom cottages on the James River, as well as one- to three-bedroom condominiums with kitchens and spacious living areas. 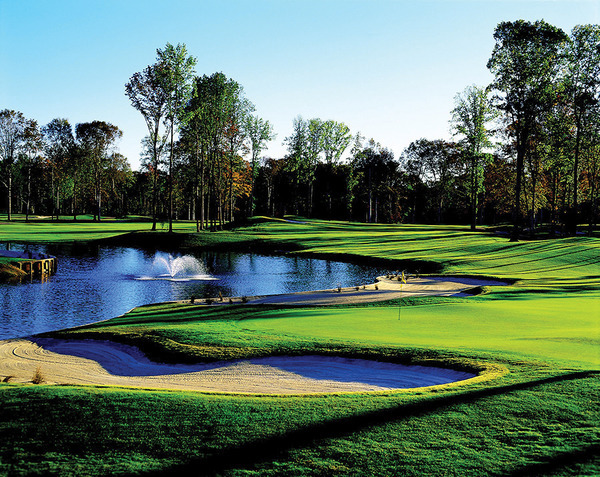 Right now, Kingsmill is offering a number of packages for golfers of all ages and skill levels, including children (Kingsmill is a family-friendly golf resort). For starters, the Unlimited Golf Package offers the best of Kingsmill’s golf experience starting at $209 per person per night based on double occupancy for two nights and includes unlimited rounds of golf on the River and Plantation courses, breakfast, use of a golf cart, complimentary transportation to local attractions, accommodations and full resort access. The Signature Golf Package offers one night at $189 per person based on double occupancy, and golfers are treated to a breakfast buffet and 18 holes of golf on the River or Plantation courses. If you are bringing an army of four, sign up for the Foursomes Golf Package. Accommodations in a three-bedroom condo for two nights, limitless rounds of golf – with cart – on the River and Plantation courses, and complimentary use of the driving range, fitness center and pools are included for a starting rate of $510 per person. Golfers who need R&R after a day on the course may opt to take advantage of Kingsmill’s riverfront location and amenities: a brand new fitness center and spa, on-site restaurants, tennis courts, fishing, and indoor/outdoor pools. Restrictions apply, check www.kingsmill.com for details. For more information, visit www.kingsmill.com for specific details or call (800) 832-5665. Lawrence, Kan. (Sept. 22, 2015) – The annual Golf Industry Show will be held in San Diego for the third time in the past seven years, with the Golf Course Superintendents Association of America (GCSAA) focusing on key issues ranging from water conservation to advocacy. GCSAA will also recognize its annual award winners, including Herb Kohler, recipient of the Old Tom Morris Award. The 2016 Golf Industry Show (GIS) will carry the theme “Everything Under the Sun” and be held Feb. 6-11 at the San Diego Convention Center. The show kicks off each year with the GCSAA Golf Championships, followed by four days of an innovative education and trade show event designed for golf facility owners and managers, including the association’s 17,500 members, as well as for the industries that market to those facilities. The GIS was also held in San Diego in 2010 and 2013. More than 500 exhibitors are expected, with most coming from the four sectors of equipment, turf applications, golf carts and accessories. The next events are scheduled for Orlando in 2017 and San Antonio in 2018. In addition to offering programs for industry professionals, the GIS also reaches students through the annual Collegiate Turf Bowl, a highlight of the week for hundreds of future industry professionals who test their classroom and field knowledge as part of a team representing their school. A team from Pennsylvania State University is the defending champion. The Golf Course Superintendents Association of America (GCSAA) presents the Golf Industry Show annually. It is an innovative trade show designed for the owners/operators of golf facilities, and the professional members of the golf course and club management industries. Featuring the always-popular Answers on the Hour and Tech Tips, as well as the largest exhibit floor in the industry, the event combines education, networking and solutions for golf course superintendents, owners/operators, general managers, chief operating officers, architects and builders. The Golf Industry Show is presented jointly with the National Golf Course Owners Association (NGCOA), along with supporting organizations: the Golf Course Builders Association of America (GCBAA), the American Society of Golf Course Architects (ASGCA), the National Golf Foundation (NGF) and the United States Golf Association (USGA). Sergio Garcia joins No. 2 ranked golfer in the world Jordan Spieth, along with Jason Dufner and Victor Dubuisson on Team SuperStroke PGA Tour athlete roster. Recruitment of top PGA Professionals and instructors complement existing Team SuperStroke athlete roster playing SuperStroke grips on Tour. WIXOM, Mich. (Sept. 16, 2015) – SuperStroke, the leader in oversized grip technology and the most popular oversized putter grips on the PGA Tour, today announced a multi-year equipment deal with Sergio Garcia, the No. 10 ranked golfer in the world. As part of the partnership, Garcia will play a SuperStroke Ultra Slim 1.0 grip on his putter and SuperStroke TX1 club grips on his irons, wedges and woods. While Garcia has been working with SuperStroke to test its comprehensive grip lineup for several months, he officially made the switch to SuperStroke’s TX1 club grips on Tour prior to the 2015 Open Championship at St. Andrews in July, where he finished in a tie for sixth place. Garcia has consistently been playing a SuperStroke grip on his putter since 2013. To further expand its reach to inform and educate golfers about how the right equipment can help them “Play Better” and improve their overall golf game, SuperStroke announces the grip company’s newly created SuperStroke Staff Ambassador program consisting of some of the top PGA Professionals and instructors at the most prestigious courses in the U.S.
SuperStroke has already recruited more than 30 PGA Professionals and instructors, including Bob Ford of Seminole Golf Club and Oakmont Country Club, site of the 2016 U.S. Open. Other notable SuperStroke Staff Ambassadors include Rich Tock of Erin HIlls Golf Course, Derek Brody of Inverness Club, Cary Cozby of Southern Hills, Dave Henson of Flint Hills National Golf Club and Brian Manzella of Brian Manzella Golf Academy, to name a few. The full roster of SuperStroke Staff Ambassadors, which continues to grow weekly, will soon be featured on the brand’s website at www.superstrokeusa.com with a dedicated webpage for each member. KIAWAH ISLAND, SC – Kiawah Island Golf Resort today announced special fall and winter “stay-and-play” or “stay-and-dine” packages. Kiawah’s “Golf or Gourmet Escape Packages” provide great deals for staying at the resort and either playing golf or dining in its award-winning restaurants with up to a 45% savings over peak season rates. “Whether you’re a golfer or a gourmet, this fall or winter is the time to get away to Kiawah Island Golf Resort,” said Tom Bewley, the resort’s Sales and Marketing Director. “Guests can pick their passion with the Golf or Gourmet Escape allowing a choice of luxury golf or culinary experience while staying on Kiawah Island Golf resort in a private Villa or the luxurious Five-Star Sanctuary hotel. To make this deal even sweeter, guests staying in The Sanctuary will receive valuable resort credits, room category upgrades, late checkouts and arrival amenities for three or four night stays,” explained Bewley. From November 15, 2015 to March 3, 2016 guests on the resort’s “Golf or Gourmet Escape Package” have their choice of accommodations (Sanctuary Hotel or luxury villa) plus either two rounds of golf, two dinners, or one of each. Guests have the option of the “Champions Choice” or “Players Choice” packages depending on their taste in restaurants or courses. 3 night stays receive a one-time $100 Resort Credit. 4 or more night stays receive a one-time $200 Resort Credit, a two room category upgrade based on availability, a late checkout (3pm) and an arrival amenity. 20% Spa discounts also available. Please call for details. *Rates are based on availability for a Sanctuary garden view room or a one bedroom scenic view villa. Sanctuary room upgrades available at an additional cost. Tax and villa resort fee additional. Offer valid 11/15/15-3/3/16; blackout dates include Dec 11, 12 and 31. Minimum night stay may apply. Not valid for groups or special events and cannot be combined with any other offer or discount. **Extend Your Stay rewards are only valid for Sanctuary reservations (not Villa) and nights must be consecutive. For more information on Kiawah Island Golf Resort’s “Golf or Gourmet Escape Packages,” go to www.GolforGourmet.com or call 800-654-2924. Located along 10 miles of pristine beach just south of Charleston, South Carolina, Kiawah Island Golf Resort is known as one of the top eco-friendly resorts in the U.S. Kiawah Island was named the No. 1 island in North America and No. 2 island in the world by readers of the prestigious Conde Nast Traveler magazine in its latest “Readers’ Choice” poll. In addition to Forbes Five Star/AAA Five Diamond Sanctuary at Kiawah Island Golf Resort, the resort’s 255-room oceanfront hotel and spa, the resort manages close to 400 private villas and luxury homes, nine restaurants, two tennis centers, a renowned recreation and nature program and has five championship golf courses, including the world-famous Ocean Course, site of the 1991 Ryder Cup, the 2007 Senior PGA Championship and the 2012 PGA Championship. It has also been named the site of the 2021 PGA Championship. Accor Vietnam World Masters Participants. Sun Valley, ID—September 8, 2015 — Fall has arrived in Sun Valley and with it comes glorious days perfect for exploring the area, whether it is cruising the miles of buffed-out singletrack trails on a mountain bike, hiking through spectacular fall foliage in the surrounding mountains, hitting the links on one of Sun Valley’s three stunning courses, or simply relaxing at the Spa at Sun Valley. In addition, the Ketchum region boasts a variety of events to satisfy all types of travelers ─ from jazz aficionados to literary enthusiasts and western history buffs, complete with world-class lodging and amenities at the completely reimagined Sun Valley Resort. Aspen Glow Golf Package: Includes one night’s lodging and 18 holes of golf anytime from September 8 through September 27. Stay at the new Sun Valley Lodge for $229 per person, double occupancy, or at the Sun Valley Inn for only $184 per person, double occupancy. Package includes cart. Golden Eagle Golf Package: From September 28 to the end of the season, enjoy 18 holes of golf and one night’s lodging at the new Sun Valley Lodge for $166.50 per person, double occupancy or at the Sun Valley Inn for $124, per person, double occupancy. September 10-12/Earnest Hemingway Festival: This year, the Earnest Hemingway Festival will focus on a theme of “Hemingway at the Edges,” exploring the many ways in which Hemingway pushed boundaries ─ in the wild places he visited, in the writing style he crafted, and in the political realms and conflict zones he investigated. The Festival includes a dynamic range of scholarly presentations, group discussions of Hemingway’s work, and guided visits to local Hemingway sites. Visit www.visitsunvalley.com/events/ernest-hemingway-festivalfor more information. October 7-11 / “Trailing of the Sheep”: The 19th annual Trailing of the Sheep Festival honors and celebrates the history, heritage, and culture of sheep ranching in Idaho with storytelling, art, culinary events, championship sheepdog trials and, of course, the sight of thousands of sheep being herded through the streets of Ketchum. Visit www.trailingofthesheep.org/ to learn more. October 14-18 / Sun Valley Jazz and Music Festival: Now in its 25th year, the Sun Valley Jazz Festival arose out of a deep love and appreciation for jazz music, continuing to delight festival goers from all fifty United States, every Canadian province, and dozens of foreign countries. With five straight days of live music, the festival showcases more than 40 bands playing Vintage Jazz, Swing, Big Band, Zydeco, Blues, and more. In addition to live music, attendees enjoy free dance lessons, an amateur dance competition, and the Afterglow Dinner and Big Band Dance. Visit www.sunvalleyjazz.com/ to learn more. Guests can also experience the modern lodging and amenities at the reimagined Sun Valley Lodge and brand-new destination spa. The renovated Lodge offers more spacious guestrooms ─ now 94, down from 148, and many doubled in size ─ with modern comforts and amenities, including expansive bathrooms with walk-in showers and soaking tubs. The Spa at Sun Valley offers 15 treatment rooms, a world-class fitness center, full-service beauty salon, yoga studio, and year-round heated saline pool. Guests of Sun Valley Resort enjoy a myriad of amenities, including 13 restaurants, 45 holes of golf, the 18-hole family-friendly Sawtooth Putting Course, 17 tennis courts, outdoor skating rink, outdoor swimming pools, and world-class shopping, along with access to the Sun Valley Playschool, horseback riding, the Sun Valley Gun Club, and more. For accommodations, or for more information, please visit Sun Valley Resort at www.sunvalley.com or call 800.786.8259. Founded in 1936 as America’s first destination ski resort, Sun Valley Resort in the Idaho mountains is a four-season resort. Perennially ranked “best of” by major international ski, golf and travel media, outdoor adventure enthusiasts enjoy championship-level skiing, snowboarding, skating, hiking, biking, golf, fishing, shooting, concerts, shopping, world-class restaurants, and conference and special event space, ranking Sun Valley above other destination resorts for its array of active pursuits. Sun Valley is a member of the Grand America Hotels and Resorts family. Sister properties include Snowbasin Ski Resort, Grand America Hotel, Little America Hotel (all Salt Lake City, UT), The Westgate Hotel, San Diego, CA, Little America Flagstaff, AZ, Little America, WY, and Little America, Cheyenne, WY. Sun Valley is served by Hailey’s Friedman Memorial Airport (SUN). Sun Valley Resort is located 14 miles from the resort and is easily accessible from the gateway cities of San Francisco (SFO), Seattle (SEA), Los Angeles (LAX), Salt Lake City (SLC), and Denver (DEN). All Sun Valley Resort guests receive complimentary roundtrip airport transportation. For more information about Sun Valley Resort: www.sunvalley.com, 800.786.8259.